During the Land War of 1879 to 1882 the arrest of thirteen men in the Hollymount and Ballinrobe police districts was recommended under The Protection of Person and Property (Ireland) Act of 1881. Among those who were actually arrested was Edward Slevin who was then living at Thomastown, near Roundfort. Edward “Ned” Slevin was a land steward and ploughman employed by Robert Hunter Pringle. Pringle was a Scottish Presbyterian who lived at that time in Greaghans, three miles south east of Roundfort. Years later Pringle became an Assistant Commissioner in the Irish Land Commission. In 1881 Pringle had a lease of a large holding which included the townland of Thomastown which was then almost entirely under tillage. At the time of his arrest Edward Slevin was aged about forty. He would appear to have been a native of Cloonerneen, Ballinrobe. He was well educated and is believed to have spent some time studying for the priesthood. 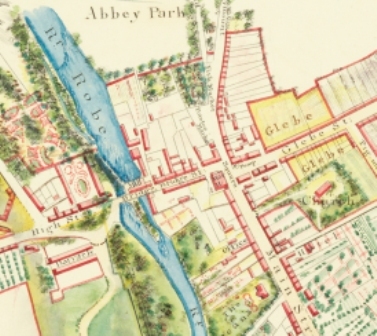 He is recorded as a collector for the Propagation of the Faith fund in Ballinrobe parish from1861 to 1870 and was a subscriber towards the purchase of a new organ for Ballinrobe church in 1876. He occasionally helped in the local schools as a catechist, but, according to his Royal Irish Constabulary file “…the P.P. got rid of him.” James Simpson, another Scottish Presbyterian farmer who lived in Kilrush, Hollymount had, according to the R.I.C. file, “very strong suspicions of Slevin”. It was well known that Slevin led a contingent of men, some of them Fenians, from around Kilmaine to prevent the eviction of Anthony Dempsey and his family at Loona More near Balla in November 1879. Slevin’s handwriting was identified on several intimidating letters posted to those who had dealings with Captain Boycott and to other south Mayo landlords who had threatened to evict tenants for non-payment of rent. Slevin was often spotted miles from home erecting Land League posters and his fiery speeches at Land League meetings were well noted by the police. Following Slevin’s arrest, his employer Mr. Pringle, wrote to the Chief Secretary for Ireland asking him to “...give me an idea of how long His Excellency is likely to keep him thus as I cannot get on without a steward on this large farm.” The Chief Secretary instructed his secretary that Pringle be written to stating that the Lord Lieutenant “…must be left properly free to deal with the term of detention…” When he was arrested Slevin lived with a sister and brother in a cottage owned by Pringle. Slevin’s detention without trial was raised in the House of Commons by the MPs for Mayo John Dillon and John O’Connor Power. Among those imprisoned with Slevin were: Charles Stewart Parnell MP; Land League organisers A. J. Kettle and Thomas Brennan; Jasper Tully, editor of the Roscommon Herald; J. W. ”Scrab” Nally of Balla and Rev. Eugene Sheehy of Kilmallock, “The Land League Priest” who later became a founding member of the GAA. 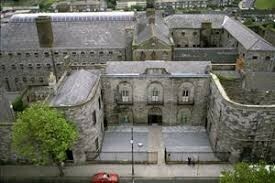 Slevin spent fifteen months in Kilmainham Jail and was released on 11 June 1882. He was never brought to trial. Shortly after his release he went to America where he lived with, and worked for, Charles Stewart Parnell’s widowed mother Delia on her farm near Bordentown, New Jersey. Although she held a beautiful estate of over 280 acres overlooking the Delaware river, Mrs. Parnell lived in very poor circumstances. “It is declared by those who know her that nearly all the clothing she has is on her back” reported the Rochester Democrat and Chronicle in 1890. 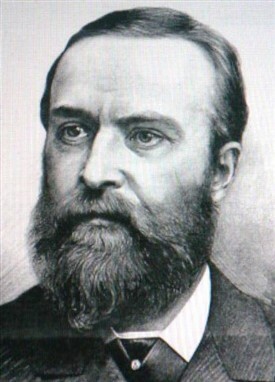 Charles Stewart Parnell died on 6 October 1891. His mother would have liked to cross the Atlantic to attend her son’s funeral but she hadn’t the price of the fare. Slevin told the newspapers at the time that “All her children have neglected her. With the exception of a short note announcing his marriage [to Mrs. Kitty O’Shea] she hasn’t heard from Charles in six months.” Mrs. Parnell would not admit, however, that that her distinguished son had abandoned her. “He was always good and kind to me” she insisted to reporters. The newspapers noted that her devoted servant Edward Slevin never missed a Sunday Mass in Bordentown. Slevin remained with Mrs. Parnell until she leased out her estate and moved to Ireland in 1895. She lived in Avondale until she came to a terrible end in March 1898. As she sat close to an open fire, her clothing caught fire and she died next day from the burns. 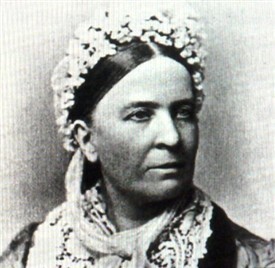 She was aged 89. Edward Slevin moved to New York where he found employment at first as a night watchman and later as a gardener. In 1905 he was an employee of the Manhattan State Hospital in Ward’s Island. 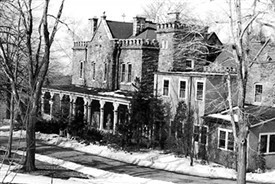 By 1910 he was working as a gardener at the orphanage belonging to the Sisters of Mercy called the Institution of Mercy in Tarrytown, north of Yonkers. Edward Slevin died unmarried in St. Joseph’s Home for the Aged in Manhattan on 6 June 1915 aged 75 years. This page was added by Averil Staunton on 20/12/2017.